The Atlas is undeniably an impressive and truly courageous creation executed with mastery. Campfire Audio is a US-based manufacturer who has achieved popularity through their strong sound tuning and charismatic designs. Their Vega is easily among the most popular high-end dynamic driver IEMs on the modern market; its deeply engaging sound alluring everyone from bass-loving enthusiasts to seasoned audiophiles looking for contrast to the reference style tuning more typical to high-end models. Campfire has recently made a wealth of changes to their product line-up, with the flagship dynamic driver Atlas and entry-level BA Comet showcasing a transition in design. The Atlas replaces the Vega at the same $1300 USD price-point while the Vega receives a moderate discount to $1099, substituting the now discontinued Dorado. 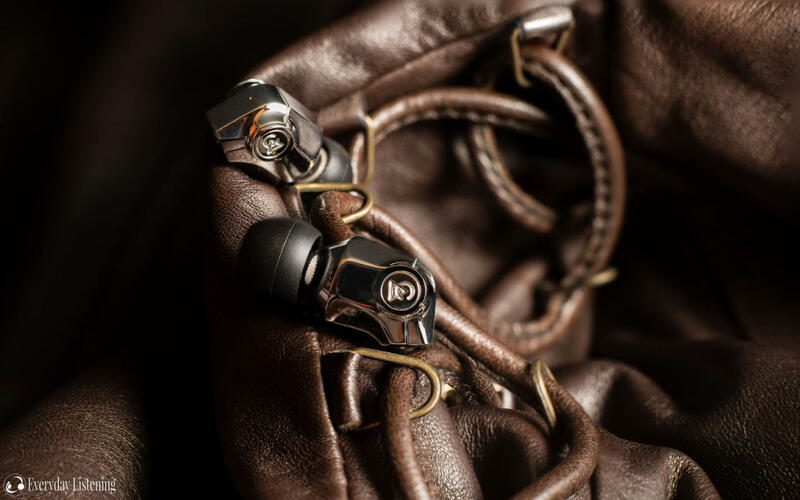 It implements the same diamond-like carbon driver and Campfire’s acoustically superior hand-polished stainless steel housings that also enable both over ear and cable-down wear. The Atlas introduces a new pure silver Litz cable, embellishing an already premium experience. You can read all about the Atlas and buy one for yourself on Campfire Audio’s website here. I would like to thank Campfire Audio very much for their quick communication and for providing me with the Atlas for the purpose of review. All words are my own and there is no monetary incentive for a positive review. Despite receiving the earphones free of cost, I will attempt to be as objective as possible in my evaluation. The Atlas is packaged similarly to Campfire’s previous earphones with a speckled orange box and clean label showcasing the design of the earphones themselves. Upon opening the box, buyers are greeted with one of Campfire’s terrific zippered leather hard cases and the Atlas introduces a new variant similar to the Andromeda’s case but in black and with a new Campfire Audio logo zipper. It oozes executive style. As with the Comet, the each earpiece comes within a fabric pouch to keep the mirror finish flawless during shipping. Other changes include the adoption of Final Audio E-tips over the Spinfits that came with previous Campfire Audio in-ears. 5 sizes are included and I do personally prefer the Final Audio tips, they’re actually my go-to ear tip, as they’re more transparent while providing similar ergonomic benefits with their flexible core. The Atlas also comes with 3 pairs of standard silicone tips in addition to two pairs of foam tips. As usual, buyers receive a Campfire Audio pin, a nice touch. The Atlas is designed almost identically to the Comet but enlarged to accommodate its 10mm A.D.L.C driver that also represents a substantial increase in surface area over the Vega’s 8.5mm driver. It’s also likely that the internal volume of the housing had to be increased to accommodate the greater displacement of air created by the Atlas’ larger driver. The result is a medium sized earphone that’s slightly larger than Campfire Audio’s relatively compact aluminium DD housing but still substantially smaller than their previous BA designs, so most should achieve an ergonomic fit. Build quality is impeccable as we’ve come to expect from Campfire Audio. The Atlas is handmade in Portland Oregon USA as opposed to the Vega that is assembled in the PRC. And though I hardly had issue with the Vega’s liquid metal construction, the stainless steel Atlas feels incredibly sturdy; don’t twirl your earphones in public kids! Like the Comet, it’s a 3-piece housing with even joins and perfectly rounded edges. Their striking mirror finish is simply superlative. With bullet shaped housings, the Atlas accommodates both over-ear and cable down wear; a hallmark feature of Campfire Audio’s new earphone designs and something that will surely feel more familiar to newcomers in the hobby. That said, as the Atlas is substantially heavier than the Comet and more voluminous, so I personally found them more comfortable to wear over the ear where the weight of the housings was more evenly distributed. Interestingly, despite their weight, the Atlas’ fit is very stable in both wear styles, no doubt aided by their excellent seal and well-angled MMCX connectors that permit a deeper fit. Each earpiece has a small vent at the rear. I didn’t have any issues with sound leakage, making the Atlas a fine choice for quiet environments, though isolation isn’t quite as good as the fully sealed Comet and other BA Campfire in-ears (that are admittedly class-leading in this regard). That said, they do isolate slightly more than the Vega, Dorado and Lyra II, making them a fine choice for public transport and still easily adequate for air travel, especially with foam tips. One could even argue that they sound more balanced when used on the go, their huge bass dispersing in ambient noise. The Atlas ships with a newly designed pure silver cable over the silver-plated copper and pure copper units on Campfire Audio’s other IEMs. It’s similar in design to the Polaris’ cable, twisted beneath the y-split with a standard braid above. It’s very supple and resists tangles well, easily one of the best stock cables I’ve had the pleasure of handling. Highlights include the custom beryllium MMCX connectors on both the IEMs and cable that promise greater longevity in addition to a super beefy 3.5mm plug. All terminations are well relieved and the excellent cable rounds out a nicely positive experience on a whole. Thanks very much. A very well written and meticulously detailed review.